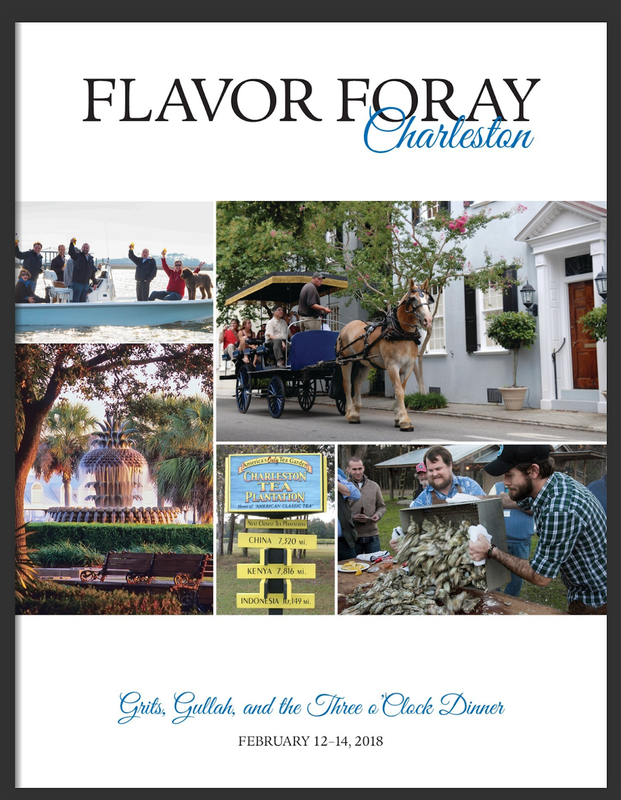 Grits, Gullah, and the Three o'Clock Dinner, the third annual Flavor Foray in Charleston held February 12-14, 2018 was educational, inspirational, and a delicious good time. Legendary Charleston chef Frank Lee came out of retirement to collaborate with chef Philip Bardin on an amazing low country dinner and oyster roast. We had tasty demos and samples from some of Charleston's finest chefs--Michael Toscano, Forrest Parker, Bob Cook, Jeremiah Bacon, BJ Dennis. And we enjoyed libations from Striped Pig Distillery and the syrups and bitters of Jack Rudy from Brooks Reitz. We visited with master tea taster Bill Hall at the Charleston Tea Plantation, farmer Pete Ambrose, Greg Johnsman at Geechie Boys mill, shrimper Cindy Tarvin, Grow Food Carolina's Sara Clow. How about those oysters at Leon's Oysters? And that tomato pie and pimiento cheese at the Tomato Shed? This amazing photo and video album from Google's Scott Giambastiani is sure to make you hungry!